Tolo News: US sanctions against Iran have slowed down the work process at Chabahar and Iran wants these limitations removed by gaining support from other countries… Chabahar is the closest sea port to landlocked Afghanistan. 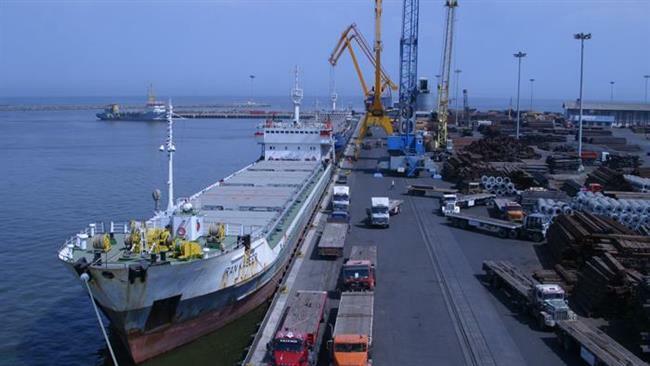 Despite Afghanistan and India’s accelerated efforts to develop the port, ACCI said the west’s sanctions against Iran has resulted in the shortage of necessary infrastructure and services at the port. Click here to read more (external link). (ANGLO/US economic endlavement of the whole region- very smart. They are giving the Iranian the inventive of leasing option with great profit- in return, the Anglo/US war criminalS obviously intend to control the whole economic zone of Sout/West Asia. Obviously, Afghanistan will be turned into a Banana Republic, with all the trained female soldiers to guard itsl for the Wedtern parasites)- especially the it will boil down to an easy target of exploitation of Afghanistan by all the parties involved in this stupid arrangement. They think that they could fool the Iranians by spponting them as gate keepers. Basically, the Iranian will be given the charge in control of that; called, “generously-allocated” “super-gate-way” to Afghanistan and Central Asia- the weirdest idea I could have ever imagined; especially in this era of fast paced communication, transpiration and business facilitation age- the low brains are clearly insulting the intelligence of the whole envisioned parties in mind- one by one. And the crazy “mad man” will get to control the whole affairs as he wishes- the happy intended operation then will run its, supposedly, normal coarse forever- of coarse, with the blessing of all. Well, the Pakistani politicians will be the most delighted- they could easily make fortunes off smuggling goods- under their passing control on three fronts, across the borders of India, Afghanistan and China- and it will stay in that capable position to run and pay for its corrupt system as a “grand banana republic” for the rest of its subjugation cycle- what ever length of time it may need take. Well, that is what I would like to call a dysfunctionally-controlled ” NEW WORED ORDER- ironically, this form of bizarre regional economical arrangement might work well enough to save the superiority of the so called, “WESTERN CIVILIZATION.”.